Electronica-infused soundtracks can be something of a risk. However, there are some truly talented artists out there who can make the line between minimal electronica and art undividable. 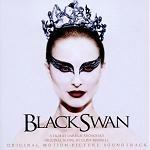 Clint Mansell is one of those artists, alongside Kenji Kawai, Brian Eno, and other great musicians. Ever since his Requiem for a Dream soundtrack (2001), Mansell has won 3 high-flying prizes for "Best Original Score", including the Chicago Film Critics Association award. He has also been nominated for another 3 awards, including the Golden Globes. Clint Mansell was born on the 7th of January 1963 in Coventry (England). His first breakthrough came in 1981 when he joined the Pop Will Eat Itself band, alongside Chris Fradley, Malcolm Treece, Adam Mole, and briefly Miles Hunt, the latter swapped for drummer Graham Crabb during the mid-eighties. Mansell would act as lead singer as well as guitarist, shaping the band's unique sound palette. Although the musical press would latter exaggerate this, the band's freshness clearly stems from Mansell's unique sense of style and most importantly his understanding of mainstream music. However, the real virtuosity that he had been hiding would take at least another 17 years to surface. 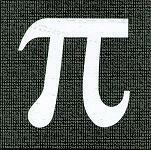 Clint Mansell's golden opportunity came in 1998, when long-term friend and film director Darren Aronofsky asked him to score Pi, an amazing black-and-white thriller. Only three out of the thirteen pieces used in Pi were composed by Mansell, but one has to admire the artist's ability to pick the right material for Aronofsky film. It is no accident that Mansell chose tracks from the early 1993-94 Autechre repertoire and Aphex Twin's Bucephalus Bouncing Ball from the infamous Come to Daddy mini-album; the I.D.M (Intelligent Dance Music - a very deceptive etiquette for such great music) influences are clearly obvious throughout the composer's career. His style can be broken down in two parts: "dramatic" and "atmospheric", and while some modern composers separate these, Mansell has them converge into a perfect whole. In 2000, he released his Requiem for a Dream soundtrack, another Darren Aronofsky film - both the movie and the score are amazing. Here, Mansell employed the vivid string-sections from the Kronos quartet: David Harrington and John Sherba on violin, Hank Dutt on viola, and Jennifer Culp on cello (replaced by Jeffrey Zeigler in recent years). Mansell complements the quartet beautifully with this trademark drone-work, providing the pieces with a certain honesty, longing, and pain. Clint Mansell makes the film a whole lot more hard-hitting by crafting music that paints the slow agony of its main characters, and this becomes particularly affecting by the end of the movie. The music for Requiem for a Dream, particularly the track called "Lux Aeterna" (meaning Eternal Light) originally recorded by the Kronos Quartet has been used on many trailers and TV commercials, trailers for films including "The Lord of the Rings: The Two Towers", and TV shows such as "Sky Sports News" and "Britain's got Talent". 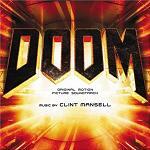 After the success of Requiem for a Dream, Mansell went on to score some rather bland movies (some of them dire: Doom is a good example). However the music remained powerful, and in some cases masterful. Speaking of masterful, he has very recently scored another Darren Aronofsky film called The Fountain, crafting one of the most (if not the most) beautiful and subtle score of the year 2006. The composer has launched an offical website at www.ClintMansell.com. At the moment it gives you a choice of two videos accompanied by Mansell's music. We particularly like the thought-provoking animation which uses music from "The Fountain". We expect more videos to be posted in due course. 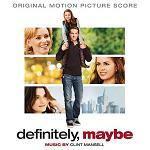 One of Clint Mansell's more recent films scores is "Definitely, Maybe" and much more mainstream than an Aronofsky movie. The music is more mainstream too with guitars and piano and little jazz influences, but it still has an unmistakeable element of being different and unique. This distinctive sound will be much sought after. 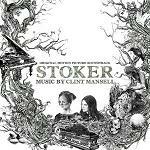 After "Moon", Black Swan, "L'Affaire Farewell" and a few other movies, one of Mansell's recent scores is for "Stoker". The music is best described as "haunting" and the soundtrack album includes music by and a collaboration with Emily Wells and a track by Philip Glass. The soundtrack album can be found at Amazon.com and Amazon.co.uk. CSI: Miami - contributing music to the episode "MIA/NYC Nonstop"